On Friday, the world lost boxing legend Muhammad Ali, who passed away at age 74. Since reports of his health decline began circulating Friday, friends and family have shared their admiration and respect over social media for the man, who daughter Hani Ali described as the "Humble Mountain." 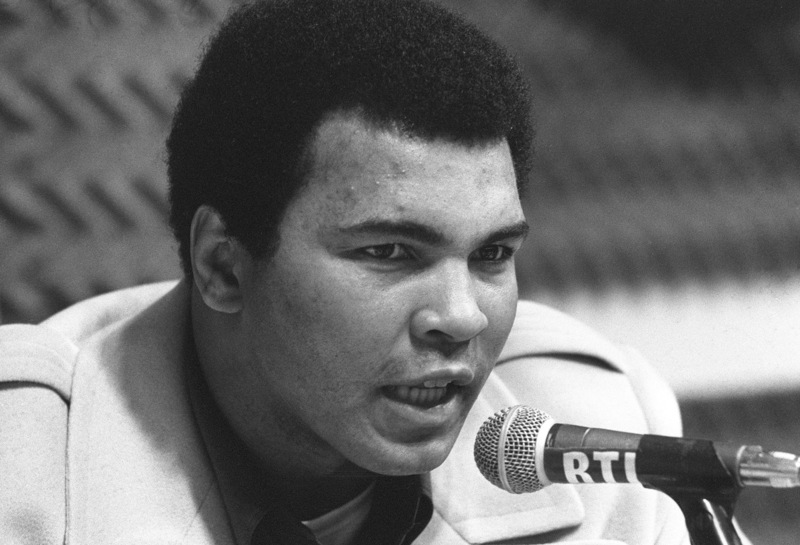 Ali was a defiant powerhouse in the boxing ring, who time and again defied the odds against him over a career that included being a three-time heavyweight champion and an Olympic gold medalist. Of all his matches, his career-defining one may be the "Rumble in the Jungle." On October 30, 1974, Ali faced George Foreman in Kinshasa, the capital of the Democratic Republic of the Congo (formerly Zaire). At the time, the 32-year-old Ali was past his prime boxing years and expected to lose to Foreman, then-25, who was fresh off beating Joe Frazier for the world heavyweight title in 1973. At the time, the AP referred to Foreman as the "heavy favorite" going into the match. Ali had been stripped of the heavyweight title in 1967 for speaking out against the Vietnam War and refusing to enlist when he was drafted. He lost some of his potentially best years in the ring fighting a conviction for draft evasion, which was ultimately overturned in 1971 by the U.S. Supreme Court in Clay v. United States. I told you all, I was the greatest of all time. After a fight like the "Rumble in the Jungle," it's hard to argue with that.